An abductor can grab and leave with a baby in just seconds, even with the most caring and attentive staff. A reliable infant protection system is critical for any maternity ward. One facility’s experience switching to Cuddles after using a different solution. 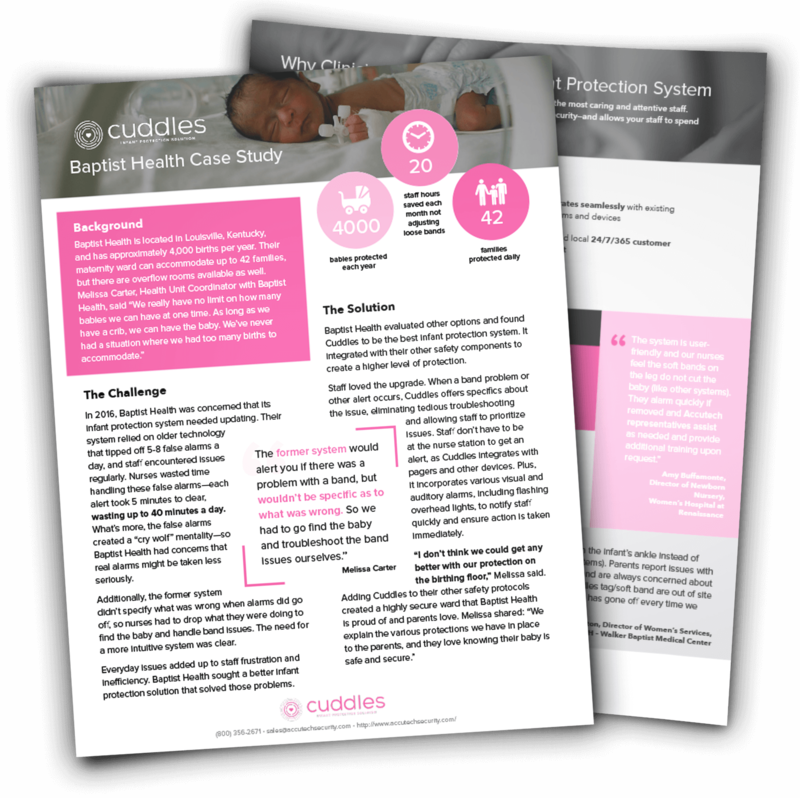 The unique benefits of the Cuddles infant protection system. Why clinicians across the world love Cuddles.